Hoist and Crane equipment should be inspected for the bare minimum requirements with each daily shift change. The operator should run function tests to check that the equipment is operating properly in all motions and should also test the hoist limit switches. 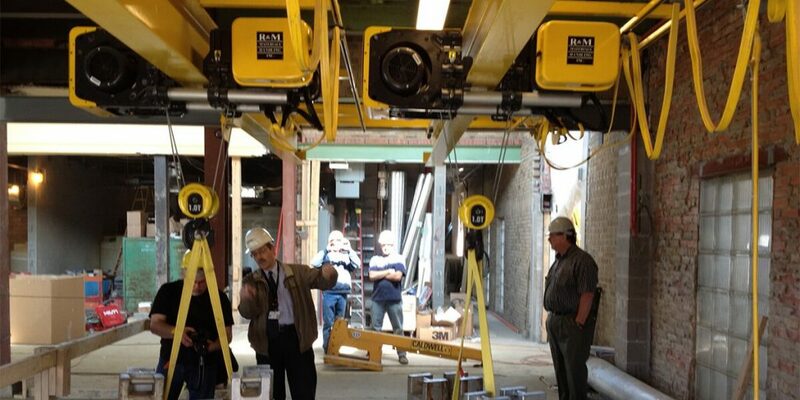 A periodic inspection is required by OSHA for all crane and hoist equipment. We recommend Uesco Crane’s highly trained and experienced professional crane repair and maintenance specialists to periodically inspect your cranes, preferably once per month. Many potential failures can be detected during the inspection. Also, repairs can be quoted so you have firm costs. Inspections should be performed during equipment off hours. This ensures that your equipment is working properly during peak hours, when you need the equipment the most. At the same time we inspect your equipment, we check oil levels and lubricate all other areas that require it (open gears, bearings, etc. ).